Katie Exton began her career helping at English winery Breaky Bottom, followed by a stint at Majestic Wines. For more than 10 years she has worked as a sommelier in London, as head sommelier at Chez Bruce and The River Café. In 2017 she opened her own restaurant, Lorne, with chef Peter Hall, formerly of The Square. Described as a “consummate professional with a sense of fun, contagious love for wine and an ability to explain it to almost anyone” by Wine List Confidential content editor Douglas Blyde, at Lorne, Exton offers a list that is fresh, balanced, affordable and highly drinkable. More than 50 of the bottles on offer cost £40 or less. Exton didn’t so much fall as dive head-first into the wine industry. While a staffer at Majestic, the rising star met Terry Threlfall, then-head sommelier of chef Bruce Pool’s Michelin-starred Chez Bruce, in Wandsworth. It was Threlfall, she says, “who is really responsible for my early career as a sommelier”. 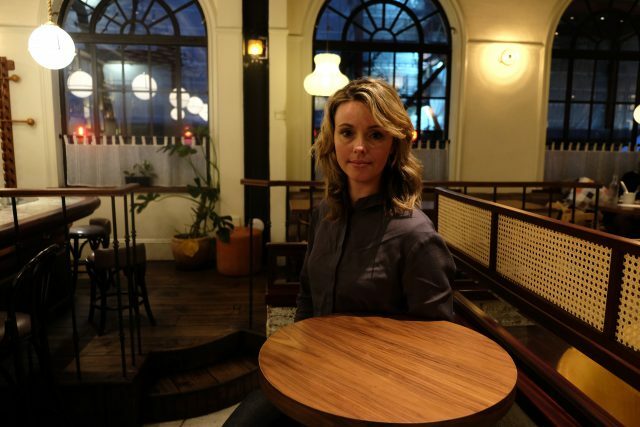 She went on to work for Chez Bruce for seven years, until moving on to work for The River Cafe, and later The Square, where she met her current business partner, Peter Hall. The first bottle she fell in love with was a 1999 Domaine Leflaive Puligny-Montrachet 1er Cru Pucelles – which can fetch upwards of £300 per bottle – that she “could’ve smelled for days”. For Exton, the true joy of being a sommelier comes from “visiting producers, seeing the vineyards, hearing their stories and then coming back to Lorne and sharing all that I’ve learned with our guests.” With such a need to travel and explore, she said that the most important thing she has learned on the job is to always take photos, as “your memory isn’t as good as you think”. Nevertheless, Exton describes Lorne’s wine list as “quite personal”, shedding some light on the bond she has forged, not only with co-owner Hall and manager Gianluca Bono, but also the winemakers and people behind the bottles she serves.